See that fat lick over there? When he steps onto the black asphalt of the parking lot, he's mine. Until then, he's in the fields, where any vampire can take him. I am the lord of this ground, and the penalty for poaching from me is you must drink from me. When you drink the kine that walk on my ground you drink from me. The Prince is the master of the city, but he has named you lord of your territory. It's up to you and your cohorts to maintain the Masquerade, influence mortal lives and pass judgment on the Kindred who dwell in your shadow. Are you a tyrant or a saint? Will you pull the Prince's strings or become the Prince yourself? 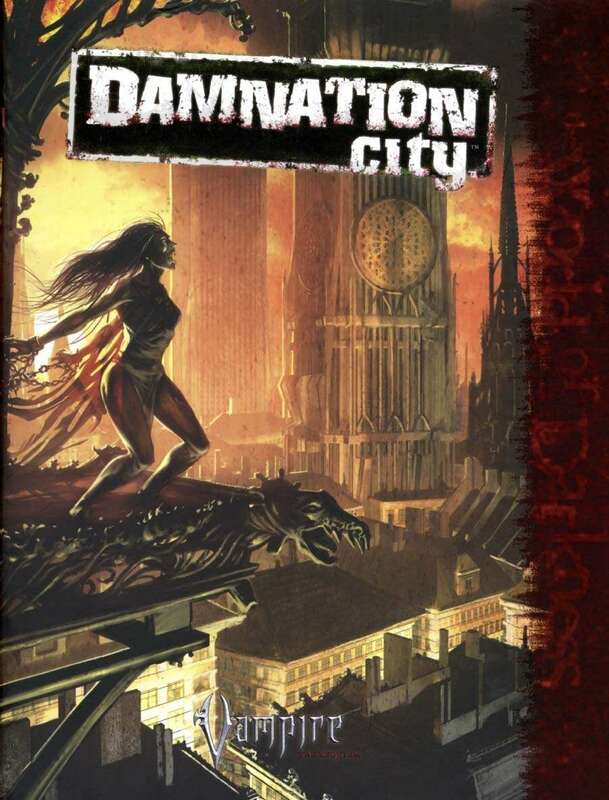 • Guides to selecting or designing a modern city that's right for your chronicle, and giving that city the World of Darkness's gritty supernatural atmosphere. • Tools and tricks for running dramatic and suspenseful stories in a crowded and shadowy city, including such new systems as "City of Millions" and "Attitude and Ambience." • New styles of gameplay for Vampire: The Requiem, called Barony and Primacy, that take advantage of more than 50 urban Districts and unique Sites. • A guide to the fictional city of Newcastle—a new World of Darkness environment ready for you to customize and activate in play. Updated file with darker text now has no bookmarks. Why does this not exists as a hardcover? i dont dislike pdf but i do love to have all my rpg books in hardcover. There is a "pirate" version of this book somewhere with BETTER quality than this. Why? All other books looks like a real ebook. This look like just a poor scan quality book. Why? The downloads for this book now include three versions: one where the book is divided into two halves, and then two versions that contain the whole book. Since this is such a large book, I understand splitting it into two files, but does anyone know the difference between the two whole-book versions? There's definitely a difference in quality, but what about content? Does one have errata or something, or maybe they just forgot to remove the lesser-quality version? Lesser quality ones are more friendly for personal reading devices, like say, a kindle or an iPad. Takes up less space so you can have more, and it loads quicker. This title was added to our catalog on August 02, 2007.